I’ll admit it, while dogs enjoy the great outdoors, I’m not a camper. 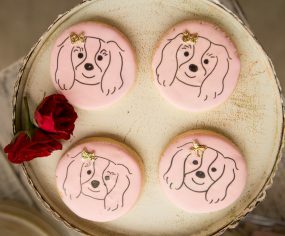 But glamping with dogs? Well throw in a bit of a luxury and I’m all in! 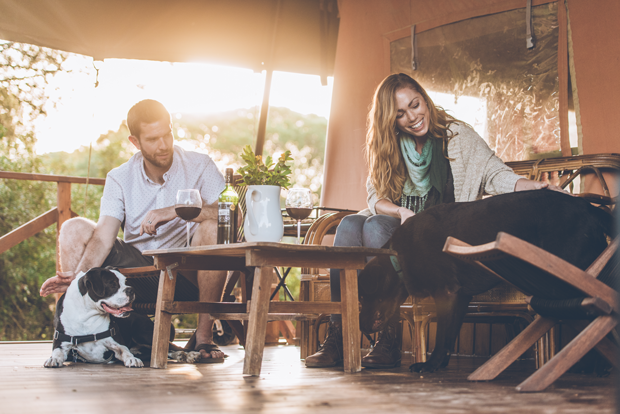 Lucky for us, we’ve teamed up with Glamping Hub for Pets to get their top tips for seasoned travelers and first time glampers on glamping with dogs. 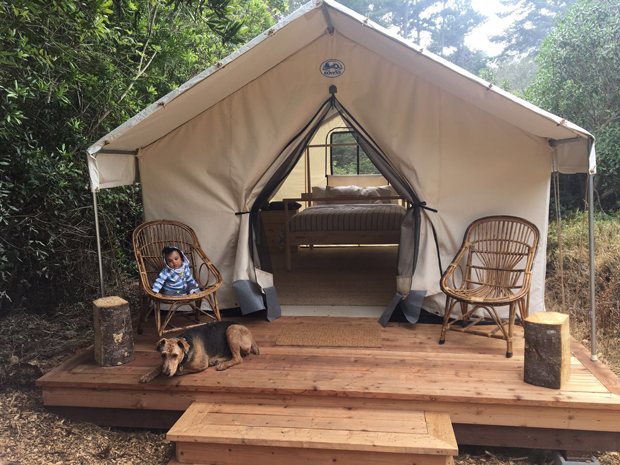 At Glamping Hub for Pets, travelers can find any and all necessary information about traveling with pets, from travel procedures and airline guidance to the ultimate guide for glamping getaways with your dog. Choosing the right site for you and your pet is an important first step. Is your pooch a fearless climber of great and imposing trees? 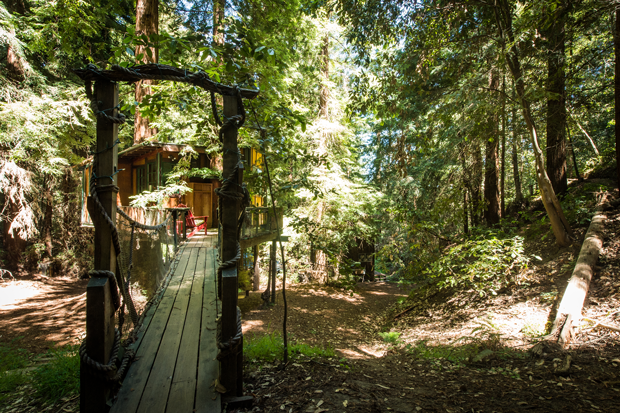 Maybe a luxury tree house is the answer! Perhaps your canine companion is more of a roamer? 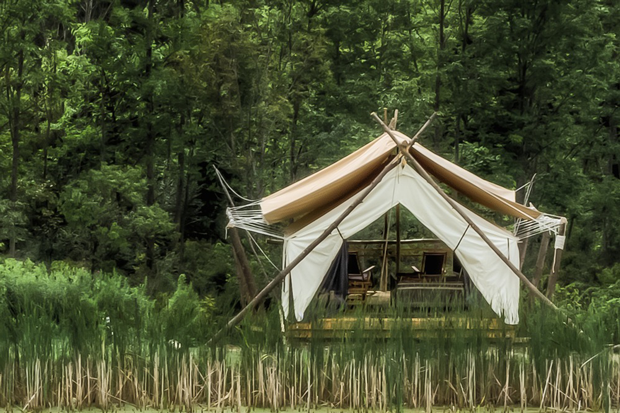 Sounds like a safari tent or tipi would make them feel right at home, as they explore scrubland and desert. 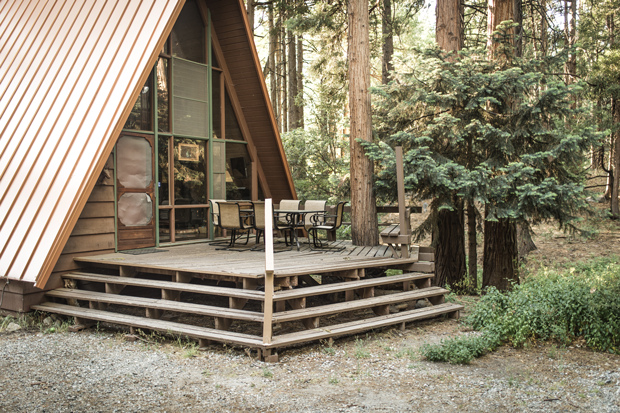 Alternatively, hiking options abound at one of our many mountain cabins tucked away in woodland settings. Doing research on the flora and fauna of an area—and the consequences it may have for your hallowed hound—is a good idea. Leashes and water and food bowls are essentials, as are dog whistles, if some off-leash hiking are on the agenda. If the worst does happen (frantically touch wood now), where is the closest vet or animal hospital that could care for your beloved four-legged family member in an emergency? Make sure to do your research pre-departure. The research done, the location is picked, so what’s left? Enjoying the moment! 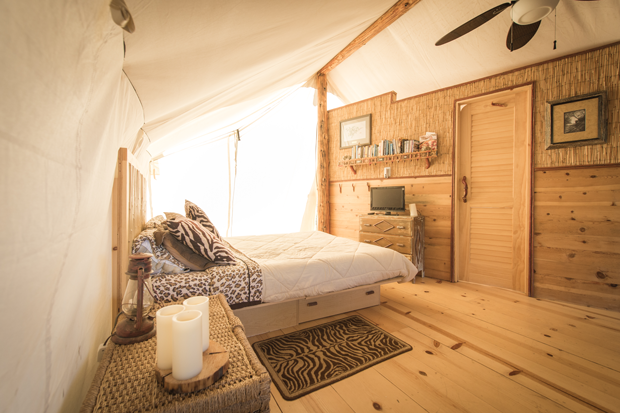 Given the nature of glamping, outdoor activities for your pet abound. Discover a whole new world of nature right on your own doorstep, or venture further afield in search of new experiences to share with your best animal companion. 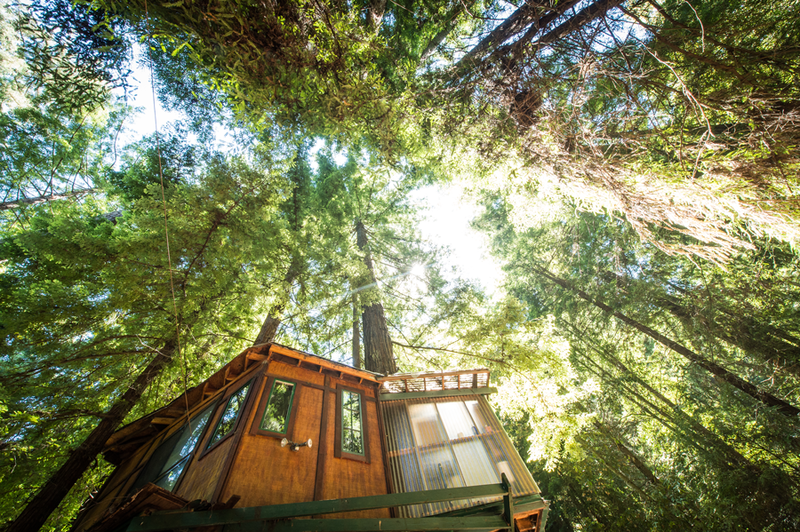 From spacious tree houses in the Santa Cruz Mountains of California, to Mongolian yurts on the coast of Southern Spain, glampers and pet owners alike can travel to countries all over the world to visit these incredible sites with their pets wagging along beside them. Looking for a brand new, one-of-a-kind, unforgettable experience to be shared with man’s best friend? Your search is over, because we have found Glamping Hub for Pets, the world’s leading booking portal to reserve your luxury vacation with your pet by your side. 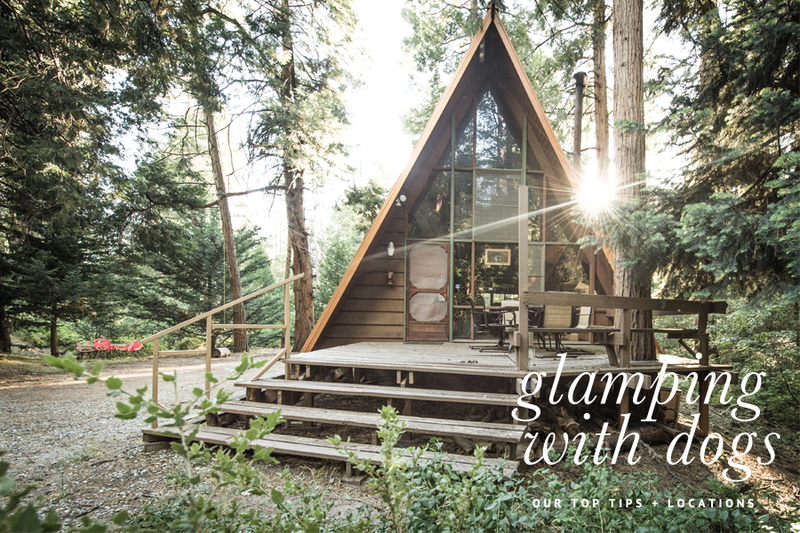 As the world’s leading booking portal, for nature-based glamping getaways around the globe, Glamping Hub for Pets is a resource and community for pet owners, which makes traveling with pets easier than ever before. 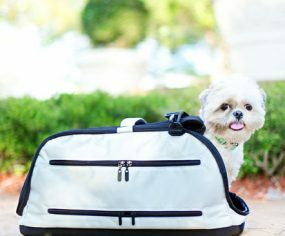 Featuring interesting facts, helpful travel information, and fun stories centered around a passion for travel with your pet, this site has anything and everything you need to plan a unique getaway for you and your four-legged friend. 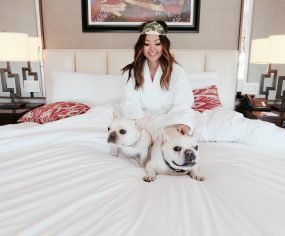 Be sure to check out https://pets.glampinghub.com, where you’ll find everything you need to plan your pet-friendly adventure.